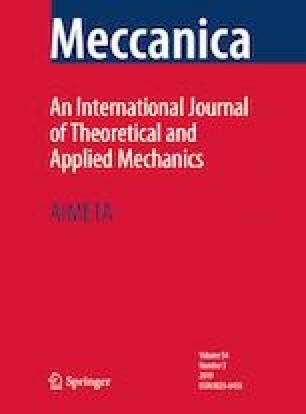 Roughness of surface has as an important influence on identifying the mechanical behavior and performance of crystalline metals. In this study, nanoindentation simulations are conducted by the two dimensional quasicontinuum method to determine the load–penetration response and the critical load associated with the onset of plasticity in rough surfaces of a face-centered cubic single crystal copper. The arithmetic roughness index, ranging between 2 and 13 Å, is used to specify the roughness of surface. Results of indentation with different roughnesses are in good agreement with previous studies for the indenter size of 10–140 Å. The resultant load–penetration scattering, which stems from the roughness, indicates different dislocation nucleation steps, different subsequent dislocations intervals and varying stiffness values of samples. It can be concluded that the surface roughness has a significant effect on the first dislocation emission because of the indenter position and surface interactions beneath it. Moreover, the critical penetration depth for the first dislocation emission increases by the increase of the contact area between the indenter and surface. The authors gratefully acknowledge the High Performance Computing Laboratory (HPC Lab), University of Tehran for the technical support. The authors wish to express their thanks to Professor E. Tadmor for his open source quasicontinuum code. The financial supports of Iran National Science Foundation (INSF) are gratefully acknowledged.